UNIONDALE, N.Y. -- After weeks of training and bringing together a new team, head coach Carlos Mendes is confident that his Cosmos B side will acquit itself well this National Premier Soccer League season. Cosmos B will kick off the season at Boston City FC at Malden Catholic High School in Malden, Mass. on Sunday at 6 p.m.
"We're happy with where we're at," he said. "I'm very proud of the team. We still have a lot room for improvement. We have to continue to grow. It’s not going to be easy, but I think you start to see the system and the belief. The guys are getting to know each other, bringing in a group of guys who haven't played with each other. So, I think they're getting comfortable with each other. We've been a little bit more dynamic, more difficult to play against." The team finished the preseason with a 3-1-1 mark, punctuated by a 2-0 win over host St. John's University Tuesdaynight. Moreover, the squad improved during the past several weeks. Cosmos B completed its preparations with a three-game winning, outscoring its foes, 10-1. Cosmos B's goals are simple: reach the postseason and hopefully more. Last year it finished out of the playoffs, despite a 6-4-2 record. 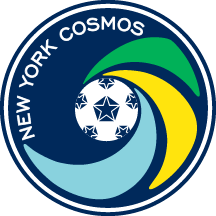 This season Cosmos B will compete in the 11-team North Atlantic Conference along with local rivals Brooklyn Italians, Kingston Stockade, and New York Athletic Club. "You play to make the playoffs and try to win a championship," he said. “It has to be the mentality to try to get into the playoffs, give yourself an opportunity and competing for a championship at the end of the year. Also, in the Open Cup we want to try to be successful and do well in that tournament. It's difficult because one game you're out. You have to be ready to play. One slip like we had last year and you're out of the tournament. So, we need to be focused." In contrast to the 30-game North American Soccer League season that he is accustomed to, Mendes knew the 10-game NPSL regular season leaves much less room for error. Any team cannot afford a losing streak or to drop points at an inopportune time. "We realize how important every game is," he said. "If you don't play well for two, three games and lose points, you can be in trouble. Playing a very good team the first game of the season, Boston, and then we have Open Cup. We have to come in with the right mentality. If you don't play your game the first two weeks of the season, you could possibility be out of the Open Cup and fall behind in the league. We need to be ready to go and firing right away." The team's strength is its backline and defense, according to the coach. Veteran pro players Chris Wingert, a Babylon, N.Y. native who played 14 seasons in Major League Soccer, and Jonathan Borrajo, a Clifton, N.J. native who performed the past two seasons with Miami FC (2017 NASL Fall and Spring champion), will anchor the backline. John Neeskens, a key member of the 2015 Cosmos B squad that captured the NPSL crown, has returned. Alexis Velela, 20, who enters his third season with the club, hopes to become a regular. "We have experience in the back, so tactically we are organized," Mendes said. "We are comfortable playing out of the back. Guys have stepped up with leadership, guys like Chis, Danny [Szetela], Borrajo. All these guys are pushing younger guys. Just to see how guys are starting to be in tune with each other and to understand and to play as a unit has been the strength in the short time that we've had." Mendes will have his choice of Macklin Robinson, Hector Guerrero, and Kevin Tenjo in goal. Team captain Szetela, a member of three NASL championship teams with the Cosmos, leads a midfield that combines experience and youthful potential. Rafa Garcia, a two-time MLS Cup champion with the LA Galaxy, is expected to play an important role. 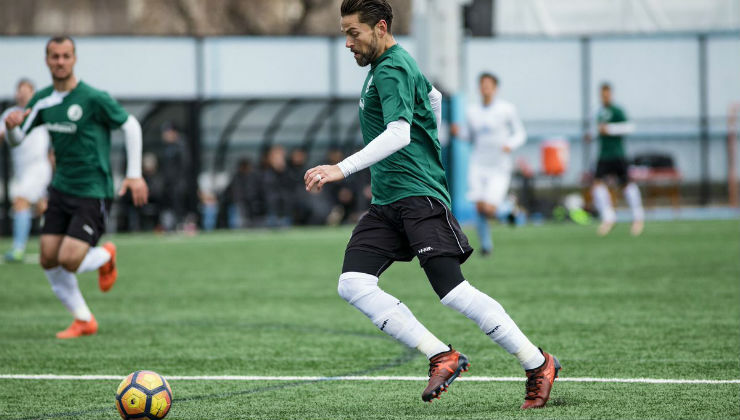 Joey Sanchez, a former Adelphi University standout midfielder, has impressed the Cosmos B coach. "Joey Sanchez has been excellent," Mendes said. "He has shown maturity. He is still a young player. Playing with guys who have played professionally a long time, he has soaked up a lot of the information." Bronx-born Zaire Bartley scored twice in a 5-1 win over LIU Post last Saturday, the last goal an impressive 30-yard bullet, is one of the promising young players who could make a difference. Forward Wojciech Wojcik, who has been effective during preseason and could carry the scoring load. Bledi Bardic has seen time with the first team and Cosmos B. "Wojciech has been excellent, scoring goals and finishing," Mendes said. "He's been very, very good and hopefully, that continues throughout the season." Boston City FC, which enters its third NPSL season, presents a challenge. The team finished second in the Atlantic White Conference in 2017, qualifying for the playoffs with a 6-3-3 mark. "It's not the easiest to get [scouting information], even with game film and rosters, because rosters are put in so late," Mendes said. "We know the coach. They've had some Brazilian players and a team that's been pretty clever that is skillful in the midfield, counterattacking in the past. We need to be ready for everything. We need to be ready and play our game, focus on what we want to do with our game plan. If we do that, we'll be OK."